Register for the VCA Dog Days of Summer 5K today! Like you, we love pets and want them all to live healthy, happy lives. Join us Sunday August 26th to Walk or Run to support VCA Charities. This years course at Glasgow Park is perfect for racers of all abilities. As much as we love our dogs, in order to maintain a safe and healthy race environment, this race is for our 2 legged friends only. Proceeds from the Race will benefit Canine Companions for Independence. 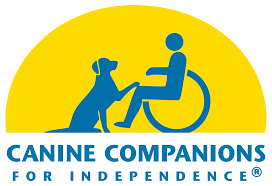 We are thrilled to team up with Canine Companions for Independence. 24 hours a day, 7 days a week, Canine Companions for Independence assistance dogs are there for their human partners with disabilities. Expertly trained to perform over 40 commands these dogs help children, veterans and adults with disabilities open doors, pick up dropped items and much more.